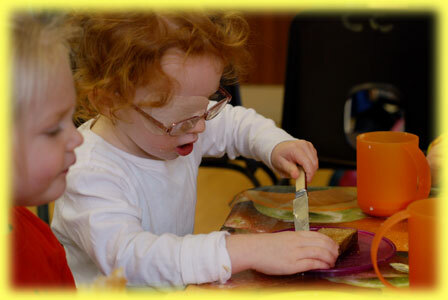 We are a community Playschool for children from 2-5 years. We aim to provide a loving, caring, exciting environment where all children are valued and encouraged to grow and develop their full potential. We can provide a wide range of activities and experiences supported by a highly motivated, caring and qualified staff who have worked together for many years. "Children should be allowed to play"
article 31 of the United Nations Convention on the Rights of the Child. "Children need the freedom and time to play. Play is not a luxury it is a necessity."